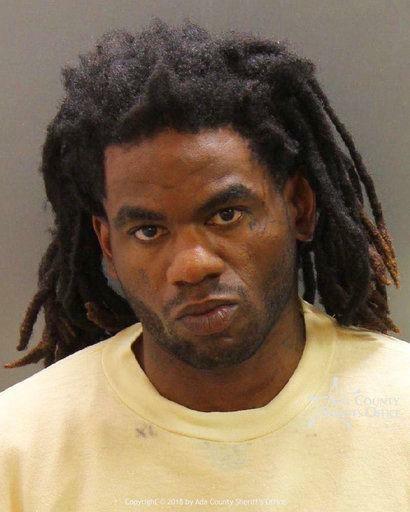 UPDATED: Thu., July 5, 2018, 12:17 p.m.
Ada County Prosecutor Jan Bennetts is not yet ready to say if her attorneys will pursue the death penalty in the case of a 30-year-old Los Angeles man accused of fatally stabbing a 3-year-old girl in a Boise apartment complex Saturday night, and wounding five other children and three adults. On Monday, prosecutors charged Kinner with first-degree murder in connection with the death of as well as eight counts of aggravated battery in connection with a mass stabbing which occurred about 9 p,m. Saturday night at the Wylie Street Station Apartments, near the intersection of State Street and Wylie Lane. Police and prosecutors say Kinner used a knife to stab six children — many of whom were celebrating the birthday of 6-year-old Ruya Kadir — and three adults that night. Ruya later died in the hospital of her injuries. Kinner made his initial court appearance Monday by video from the Ada County Jail. Judge Russell Comstock ruled he would be held without bond. First-degree murder is a crime punishable by the death penalty in Idaho. In a Thursday-morning statement, though, Bennetts said the investigation into the crime is ongoing, and she is not ready to say if she will pursue a death sentence in the case. Kinner’s next court appearance is a preliminary hearing scheduled for 8:30 a.m. July 16. Published: July 5, 2018, 9:22 a.m. Updated: July 5, 2018, 12:17 p.m.